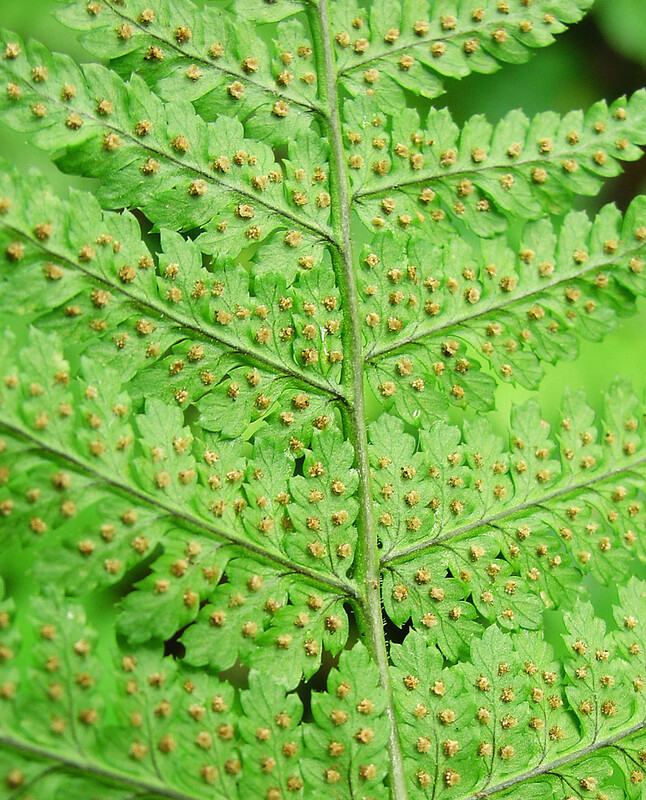 Dryopteris intermedia. Tom Kent. Flora Finder. NH. florafinder.org (Accessed 4/2018). Dryopteris intermedia is a fern from a short, scaly ascending to erect rhizome, roots sparingly colonized by VA mycorrhizas (Brundrett and Kendrick 1988). Leaves in a rosette, to 80 cm long, evergreen; stalk 10-30 cm, scales broad, pale brown with darker markings; blade to 50 cm long, 20 cm wide, tip long-tapered, base blunt, widest just above base, twice pinnate-pinnately lobed to three times pinnate, lowest leaflet with its lowest secondary leaflet shorter than the next above it; secondary leaflets deeply lobed and toothed, teeth bristle-tipped (spinulose). 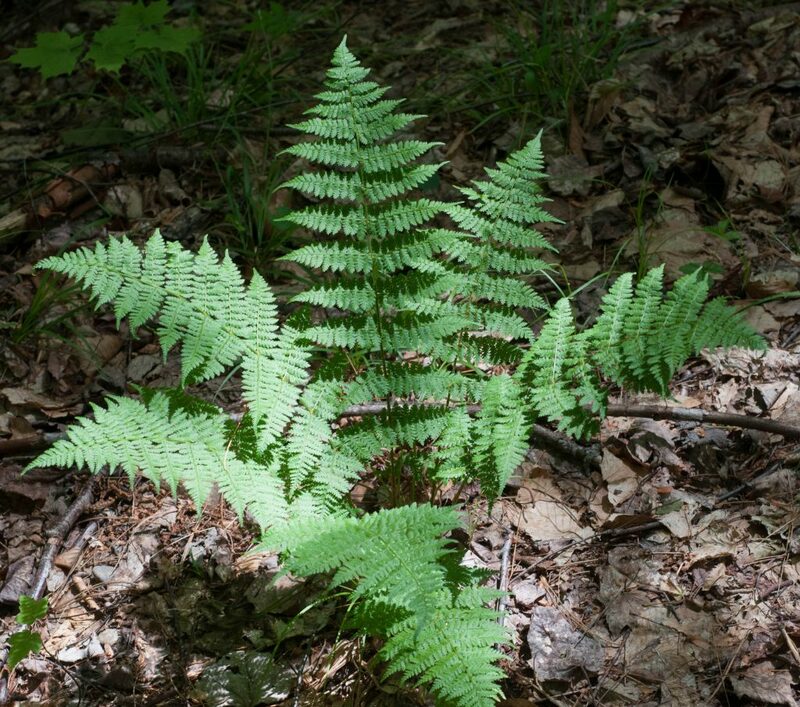 Dryopteris intermedia.Glen Mittelhauser.New England Wild Flower Society.gobotany.newenglandwild.org (Accessed 4/2018). Spore cases midway between midrib and margin of ultimate divisions. Habitat: Moist, rich woods. Often growing on decayed wood (Brundrett and Kendrick 1988). Notes: New leaves emerging in spring as tree canopy closes, replacing over-wintered leaves.